This is a great last-minute app you can whip up and serve at your BBQs this week... using blue corn tortilla chips, black beans, white cheddar, sour cream, and salsa. 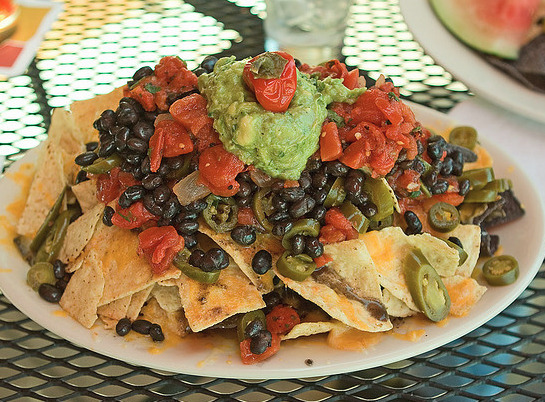 You can even arrange the nachos in the center of your table shaped like a 5 point star! Do you have any creative recipes for Independence Day this year?